Sound Property Group is a property investment and education company specialised in sourcing strategic real estate opportunities tailored to clients’ individual needs. With an uncompromising attention to detail, Sound Property strives to educate clients in all facets of property ownership, reducing risk and helping turn their investment ideas into reality. Sound Property has a fully licensed team with experience in the residential and commercial sector, property syndicates, developments, rentvesting, renovations and rural transactions. We appreciate that property investment should not be a ‘one-size-fits-all’ approach, and as such we offer personalised strategies based on a client’s goals, financial situation and risk profile. Sound Property has developed an innovative research model that involves a ‘top-down’ approach across three tiers of research. 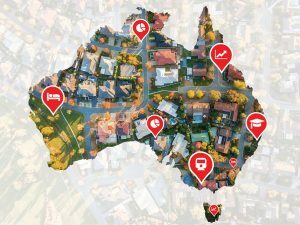 Our 15 Key Investment Drivers framework identifies the best markets and properties for growth and rental yield. It is our mission to help people secure a high performing investment. "Excellent service and thorough analysis to suit our needs. Sound Property has been amazing throughout the process of researching postcodes for us, and recommending a property. Our needs were simple – ideally cash flow neutral or positive, in a good area, with solid growth potential. They found the property and took all the legwork out for us… We’ll be using them again." "Sound property were extremely detailed with understanding our requirements for an investment property. The communication we received from sound property was second to none and the process throughout the whole way was very impressive. To date we are very happy with our investment and we would be sure to recommend sound property to anyone in the market for a investment property." "Sound Property simplified the whole investment process; from understanding our cash-flow to which area to invest and finally connecting us with a great property manager. Being so busy in our daily lives we would not have done it without them!" "When we were planning to buy our first property, Andrew and his team were recommended by one of our friends. They were very professional all the way through, the communication was excellent and they were always there for us. We are very happy with our investment and we would highly recommend them to anyone looking to buy any property. Thank you again for your continuous help and support! We will be in touch for future business!" "The team at Sound Property have integrated exceptionally well into our business providing a full property investment solution. Their sole focus is the best outcome for the client which gives us comfort to focus on our core business. We receive regular updates on each client we introduce and have received very positive feedback from our customers." Have one of our Property Advisors call you to discuss getting started.